In April, I had the pleasure of representing The History Press at the Oregon Heritage Conference, which was co-hosted by the Northwest Archivists. I brought a spread of titles to the event to share the range in The History Press list, including stories of neighborhoods and landmarks, books on foodways and local sports culture, and tales of various cities’ haunted or criminal pasts. 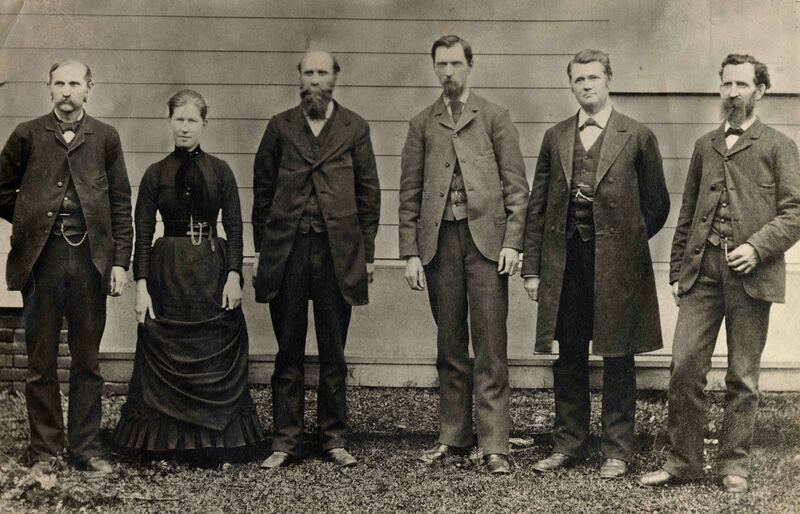 Time and again, the book that drew people’s attention was Randy Fletcher’s Hidden History of Civil War Oregon. Randy’s book was The History Press’ debut Oregon title and an excellent first step in representing Oregon’s diverse history. With a solid list of Civil War Sesquicentennial titles under its belt, there was no question that a Civil War book would be a match for The History Press. Yet it was a surprise to represent the legacy of the war in a state that few would associate with the conflict. When I first read Randy’s manuscript, I was struck by the recurring theme of veterans seeking a new start in a place as far removed from the war as they could travel. The West offered a chance for a different kind of resolution, and an opportunity to build on the events of the past rather than be destroyed by them. 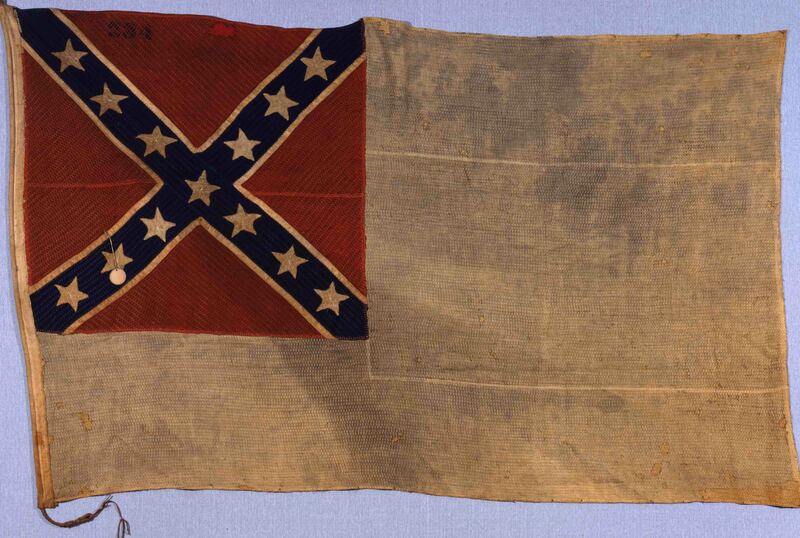 As Randy noted in his dedication, “As we commemorate the 150th anniversary of the American Civil War, it is paramount that we remember the sacrifices of that generation, North and South. There are no longer any Civil War veterans to tell what they did in that war; we must tell their story for them.” And that story stretches from the battlefields of the East to the frontiers of the West. It was Randy’s work in restoring grave markers in Oregon that led to the first story in the collection, “The Minister and the General,” which is one of many poignant accounts in the book. From there, the collection grew to represent everyone from Oregon Senator Edward D. Baker to U.S. Marshal Virgil Earp. Most of all, the book voices the ordinary struggles of soldiers whose lives were irrevocably shaken by the war. After working with Randy to publish Hidden History of Civil War Oregon, it was a treat to field the numerous compliments by conference attendees for his book. These compliments have been widespread, and this past month, Randy was honored by the 1st Oregon Volunteer Infantry for his efforts in preserving Oregon’s history and the memories of Civil War veterans. In addition to the publication of his book, Randy has also been instrumental in the replacement of the Civil War statue at the GAR Cemetery in Portland and the restoration of the GAR plot in the Eugene Pioneer Cemetery. Congratulations to Randy for being the recipient of the Frank Hovanic Award. 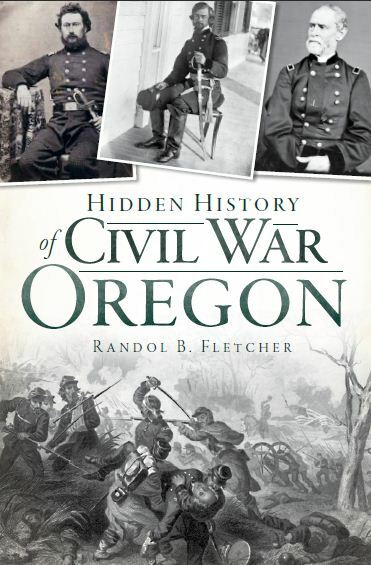 Hidden History of Civil War Oregon by Randol B. Fletcher is available from The History Press and Oregon bookstores.